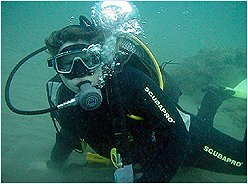 Discover scuba diving in Cornwall | Beach dives, reef dives for all levels, beginner to advanced. Feeling bored sitting at home, day after day with nothing to do? 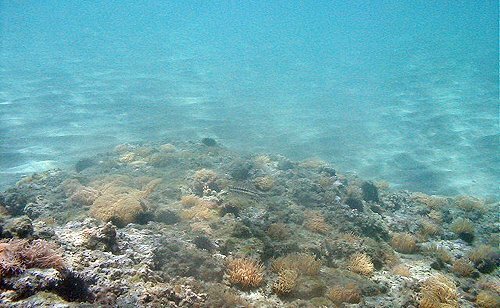 well how about Doing Something Different like Discover Scuba Diving (DSD). What is a DSD? You may be asking. Well a DSD is a program that was created to introduce people to the underwater environment, using scuba equipment (Self Contained Underwater Breathing Apparatus), while being supervised at all times in a safe, secure and relaxed environment. You can do a DSD in a swimming pool, off the beach, or at a well known dive site, but where you do your dive, is mainly up to whoever you are diving with, i.e. a club or a center. After doing a DSD, many people want to do another dive within a month, while others will want to go again, but end up waiting over a period of months up to years before they get to do that second dive and then there is the portion of those who want to climb the ladder of the diving world and enroll to do their first course, just so they can relive the experience again and again and participate in new experiences, while creating treasured memories. Scuba Diving - Snorkeling - underwater photography - beginners - experienced divers - inflatable boats - dive equipment - dive guides - instruction - first time dives - reef dives - beach dives - transport to dive sites. One question you may be thinking, is why should you do a DSD, why try it? How about this for an answer, why not? Discover Scuba Diving is about doing something you’ve never done before, seeing the underwater environment in a way you’ve never seen it before, or for longer then the amount of seconds you can hold you breath for, for a chance to interact with marine life in ways you never thought possible.